If you have all the tools you need to repair your car except a garage to do the work in, you might be wondering where to repair your car without a garage. Even if you have a parking lot for your apartment or home complex, it might be against rules and regulations for your complex to do any sort of work that might create a lot of noise. Auto part stores like Auto Zone and Advanced Auto Parts might allow customers to use their lots to do repairs and updates. You might need to contact your local store to make sure they allow you to use their lot. If you have a friend that has a garage, this could be a great option for you to use to repair your car. Using a friend’s garage will ensure that you won’t be disturbing any locals or breaking any rules. If they’re a little hesitant you can offer to do a little work them on their cars if they need it. 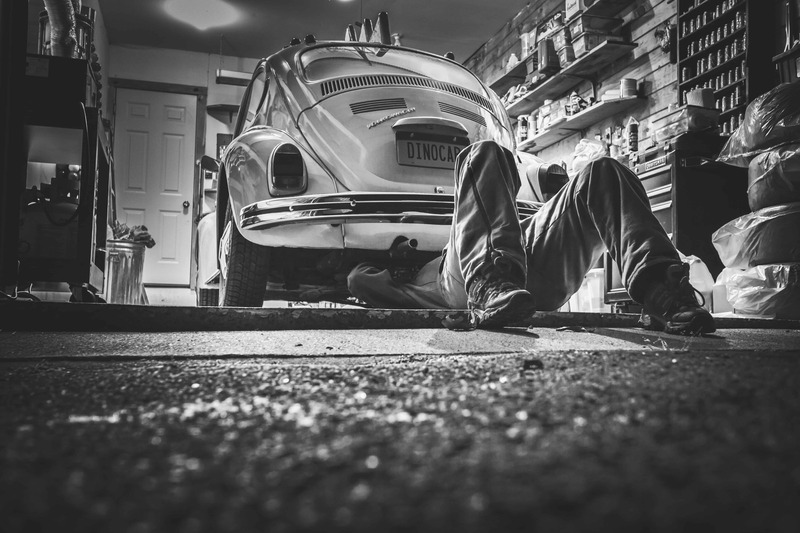 Depending on your location and the auto mechanic schools near you, they may let you use their garages that they use for the students to work on your car. The best option is to call them and ask them if they allow it, and if you can, bring your own tools. For the most part, storage units are pretty lenient on what you can store in your storage unit and what you can use it for. It may cost you a little bit every month, but then you’ll have somewhere to store all your tools you use, as well. Like any of the other options, the best way to find out if you can use storage unit is to call your local one and ask. Some might have certain stipulations when it comes to its use and if there is a limit to the noise you can make. This may not be as popular or accessible as some of the other options but doing a little research and you might be surprised to find a self-service auto shop near you. It’s a unique service that allows you to rent a spot to fix your car by yourself, with some help, or have them fix it for you. Every service is different as to what they provide you, which is where research will come in handy. If you plan on repairing your car with or without a garage, you might want to make sure you have some important tools. A regular toolbox probably won’t cut it for the type of work you’ll be doing. You’ll need this tool most when working with your car. There are many electrical parts to a vehicle, so you’ll need pliers to achieve any electrical repairs. Use a clicker-type torque wrench to tighten nuts to the proper specifications. A wrench is an invaluable addition to your mechanical tool box. These are just as useful in your garage as it is in your house. Sometimes, a dead blow mallet is the only solution when removing stuck bolts. You might work into the night, especially in winter, so you’ll need a good light to help see what you’re doing. Latex or non-latex gloves are preferable to regular work gloves because they are disposable. You can have clean gloves with every project. These are great for bundling cables and wires away from hot and moving parts. Multimeter is vital for tracking down what’s infiltrating the electronic system of your car, as well as whether you’ve got a hot wire. Impact wrench can make work quicker for removing lug nuts. Mechanical moving parts should be cleaned and lubricated regularly. Use either a drip pan or cardboard – at the least – to catch oil and fluids from your car. Kitty litter or desiccant will help absorb any oil or fluids that miss the drip pan. Common wisdom is that duct tape has a million different uses, so keep a roll with you at all times. Electrical tape is useful with wires. This will be the most valuable tool when you’re working on your car. It has all the specifications for your make and model, and sometimes has tutorials for the job.